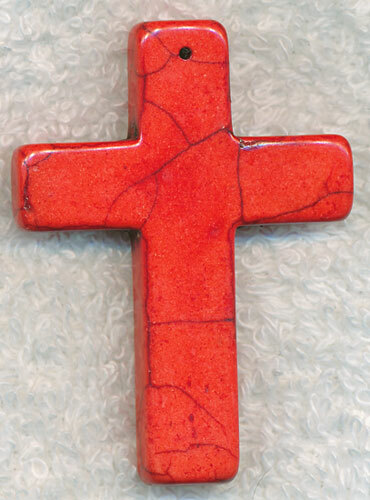 These are red gemstone cross pendants that measure approximately 55mm long by 40mm wide. They have a 1.5mm hole drilled through the top. The size and color may vary slightly with each pendant. The coloring and veining will vary with each as these are carved from a natural gemstone material.